What is the difference between stye and eye infection? I just want to know if eye stye is the same as infection? Or what's their differences? How can i judge them? As we all know both an eye stye and eye infections will lead to symptoms and changes to the eyes, and both of them causes a sensitivity to lights. But there are still differences exist between eye styes and eye infections. Usually a characteristic stye is a pimple-like bump, small or big, swollen nodule on the eyelashes. Besides, the eyelids develops a number of eyelids obstructed oil glands. The styes usually causes discomfort in the eyelid rather than in the eye itself. Styes can be caused by anything such as a particle of dust or a bacterial infection. However, eye infections always come with vision problems such as blurriness and fatigues, red or bloodshot, etc, and an eye infection will often change the eye itself rather than the area around eyes. Additionally, an eye infection can cause tearing and runny eyes as well and the infection can possibly spread to the eye. In all, the eyes can be susceptible to a various of ailments, both eye infections and styes need a proper diagnosis, and it is of great importance of quick and effective treatment. I think the first thing I need to explain the definition of a stye and eye infection. Eye infection is a big range of infections, caused by various bacteria or virus, occured to different part of eyes, for example conjunctivitis, iritis, uveitis and so on. As to stye, it is the acute infection of the meibomian glands in eyelids, which is responsible for oil production as part of the tear film in eyes. Because the gland is congested, the oil is building up in the gland which gradually forms a red and painful dump, usually at the root of eyelashes. A stye is common caused by bacterial infection and it would last for months. To judge it is a stye or not, there is alwaya cyst on the eyelids if it is a stye, which in my mind is the basic and simply way to tell. If your symptoms are serious, then it is better to visit the oculist for treatment. Although a stye brings no other harms but ebarrassing and painful, other eye infections might lead to severe results. No, the eye stye is not the same as infection. There exists the difference although the basic previous symptom is similar with redness of the eyes. The after period symptom is different. Both of them may be caused by the coming invisible bacterium. The sty is commonly known as eye of a needle. The eyelid glands acute suppurative inflammation is often caused by a staph infection, depending on the affected gland tissue and divided into sty department within and outside. The eyelash hair follicle and sebaceous gland inflammation are in the sty for meibomian gland which is with acute suppurative inflammation. The eye stye may have the limited red swollen eyelids and thermal pain. The outer canthus part can be associated with the lateral bulbar conjunctiva oedema. After 3-5 days, pus point form will be shown outside the stye pus point on the skin surface. The sty pus point is in palpebral conjunctiva. The pus point wears out after inflammation subsided rapidly. However the infection is just shown with redness or dryness. You could see clearly the difference after 3 or 5 days. You could use the eye drops to release both of them. Help!!! My dog licks the nose of my baby. Will this cause an eye infection? What Causes Eye Styes in Children ? What Causes Bacterial Eye Infections? Can You Wear Contacts When You Have an Eye Infection? How Long Can a Viral Eye Infection Last? Can eye infections spread to brain? Can humans catch eye infections from dogs? How to cure an eye infection ? Why do i keep getting a stye in my eye? Should i wear sunglasses while golfing? Can anyone tell me where Loewe sunglasses are made? Can i get reading glasses at walgreens? What to wear with john lennon round sunglasses for a better look? How long do eyes stay red after smoking? 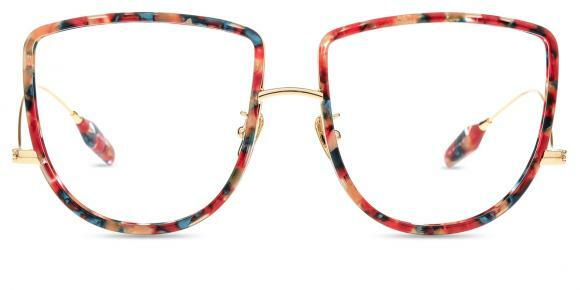 What to wear with floral sunglasses for style? 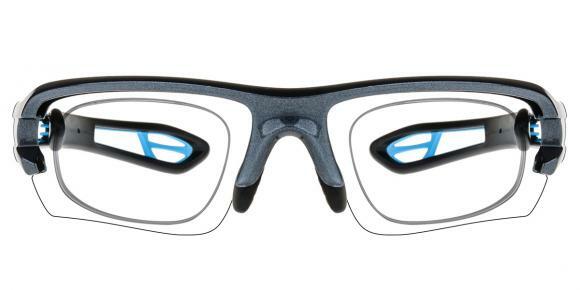 Where are rudy project sunglasses made? Where to get super dark sunglasses with dark lenses? How to tell if armani exchange sunglasses are fake or real? Are there contact lenses you can swim in?